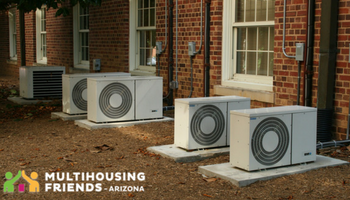 Summer in Arizona is an especially busy time for HVAC professionals. With so many problems occurring with cooling equipment, now is a great time to start implementing HVAC preventative maintenance strategies. Following is a list of 10 simple ways you can care for your HVAC equipment. 10. For all of your HVAC needs, hire an AMA-Approved Heating or Air Conditioning specialist! How do you keep HVAC equipment running in tip-top shape? Join the conversation!